WHEN POWER CORRUPTS: Gere turns in a first-rate performance. In the financial thriller-drama Arbitrage, Richard Gere plays a powerful hedge-fund magnate whose morals and ethical principles are thrust under the microscope after millions inexplicably disappear from the firm he operates. The numbers don’t add up as well when a late-night vehicular accident (he was behind the wheel) results in the death of his French mistress (Laetitia Casta). It’s a tragic series of events that could upend the existence of even the toughest bloke. Not Robert Miller, who firmly stands his ground even when mounting evidence threatens to undo him, and his loyal daughter and firm colleague (a superb Brit Marling) and longsuffering wife (the ever excellent Susan Sarandon) find themselves slowly drifting away from the man they thought they knew best. 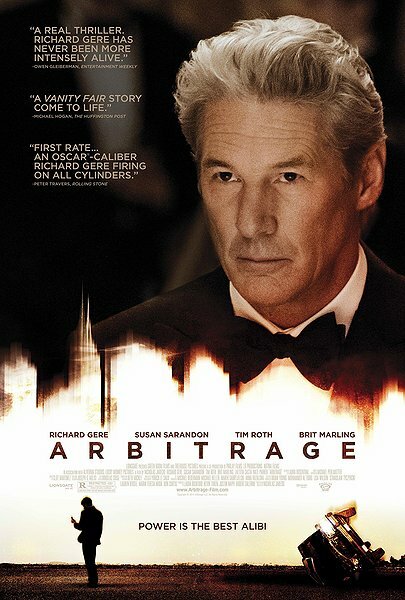 Deftly penned and directed by Nicholas Jarecki (The Outsider), Arbitrage is anchored by Gere’s thoroughly immersed portrayal of a conflicted man who, tested by his own slipperiness, will do anything to stay afloat. Arbitrage has been recurrently described as a Bernie Madoff-type affair, and with its relentless exploration of corruption, greed, fraud and corporate cover-up – with a patriarchal figure at the centre of it all – it comes by that description quite honestly.